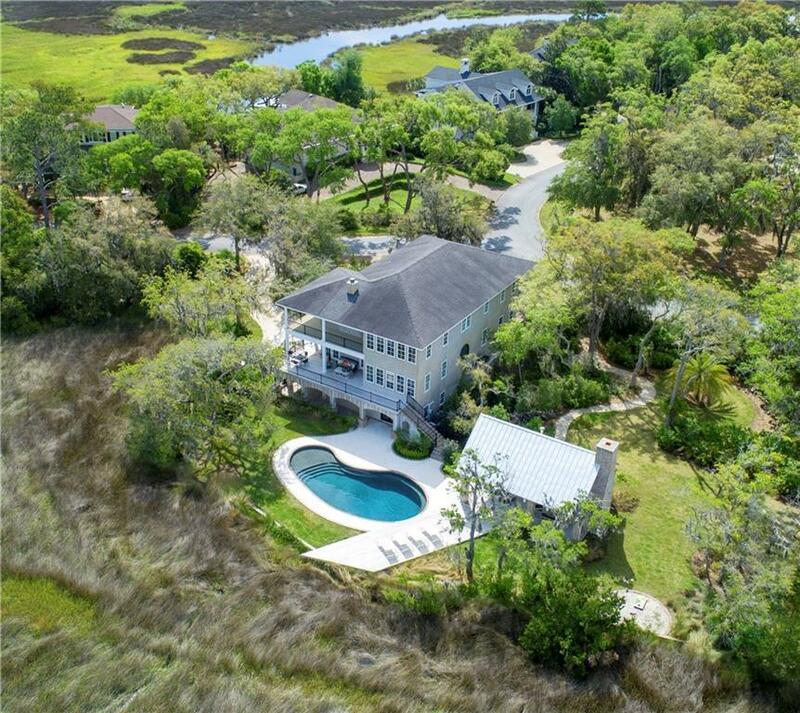 This beautiful island home sits on two marsh front lots in gated Hamilton Landing.Â The homeÂ has 5 bedrooms, 4 1/2 baths andÂ an elevator that will take you from the garage to the top floor.Â Some of the features of this home are pine floors, an office/den/library, formal dining room, renovated kitchen, two story family room with fireplace and marsh views, large master bedroom with renovated Moroccan themed bath, bonus room and more.Â The outside covered deck is made of epi and isÂ the perfect place to enjoy the marsh view.Â There is also a cooled pool and covered lanaiiÂ that with an outdoor kitchen, fireplace and pizza oven.Â This home has too many wonderful features to list.Â This is a must see for the discerning buyer. Directions: When You Arrive On St. Simons Island Stay Left When The Road Forks. At The First Stop Light Go Straight. Hamilton Landing Is The First Neighborhood On The Right. When You Go Through The Gates Stay Straight. 817 And 819 Is On The Corner Of The First Road That Goes Off Hamilton Landing Drive To The Left.